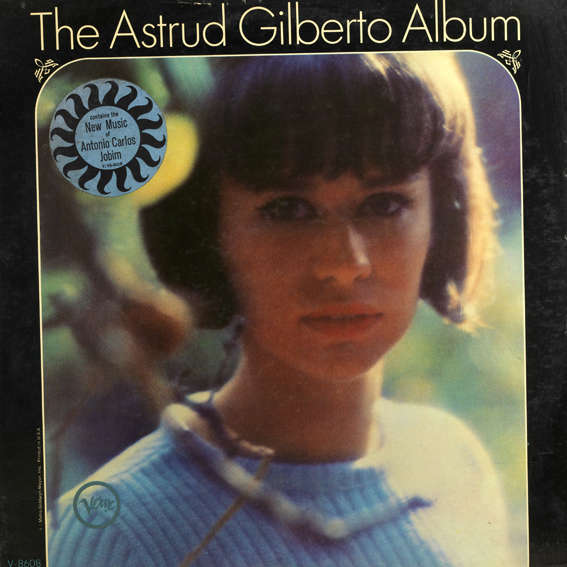 “The Astrud Gilberto Album” is the first album recorded by Astrud Gilberto, hot off the success from guesting on the landmark jazz album “Getz/Gilberto” (1964), a collaborative project between tenor saxophonist and her husband, the famous Brazilian guitarist/bossa nova pioneer João Gilberto. Although, Gilberto had never performed professionally, she was requested by her husband to sing in the English verses written for the album’s tracks. One of these cuts was “The Girl from Ipanema”, a song that would forever be immortalized by her voice, and a rendition that would be the definitive recording of that song. The single sold over one million copies and helped established her as a bossa nova darling and a pop culture superstar. The rest, we can say, is history. A recording contract was set, and a solo album was immediately made to strike while the iron is summer hot. This was the result. Released in 1965 by Verve Records.